Guy Gosnell leads the Intellectual Property Patents – Electrical & Computer Science Group and its efforts to counsel clients in regard to patent matters in the electrical, computer software and business method arts. Guy has more than 20 years’ experience in the intellectual property field and is registered to practice before the U.S. Patent and Trademark Office. Guy has been listed in The Best Lawyers in America, the Top Attorneys in North Carolina and in Super Lawyers magazine. 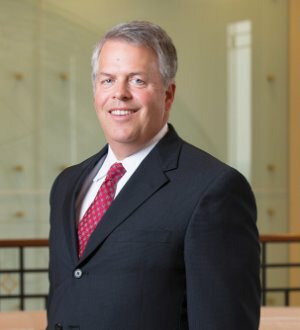 Guy has been extensively involved in the drafting and prosecution of patent applications involving various aspects of electrical, computer and software technology. For example, he has secured patent protection for cutting-edge telecommunications technology, including patent protection directed to handsets, to network components and topology, to signaling protocols, and to end user applications, to name but a few. Additionally, Guy has obtained patent protection for a wide range of other types of technology, including, fiber optic technology, medical imaging techniques, error-resilient encoding technology, signal processing schemes, printer configurations, microelectromechanical devices, holographic displays, integrated circuit simulation, field emission devices, flight simulation systems, high-power fiber optic lasers, antennas, heads-up displays, semiconductor wafer fabrication techniques and various types of software.